On Tuesday, September 25, the Cathedral community will celebrate baseball, the start of the 2018 school year, and the Grace Cathedral Choir of Men & Boys at the San Francisco Giants vs. the San Diego Padres game. You will not want to miss this fun start of school tradition! 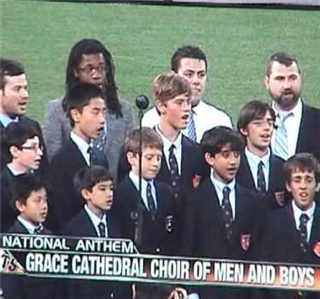 Our very own choirboys will be singing the National Anthem. This is sure to be a sell-out event so get your tickets early. To purchase tickets for your family and/or sponsor teachers or students who would not otherwise be able to attend, click HERE.